United Blood Services is encouraging Artesians to save a life this holiday season by donating blood. The Artesia Community Blood Drive will be held from 1:30-5:30 p.m. Friday, Dec. 18, at the Senior Center, 202 W. Chisum Ave. Appointments may be made by calling 877-827-4376 or online at www.bloodhero.com. With each donation, donors will receive a free total cholesterol test and earn points in UBS’ Hero in Me rewards program. 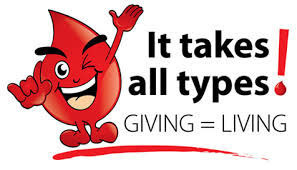 Volunteer blood donors must be at least 16 years of age, weigh a minimum of 110 pounds, and be in good health. Additional height/weight requirements apply to donors 22 and younger, and donors who are 16 must have signed permission from a parent or guardian.